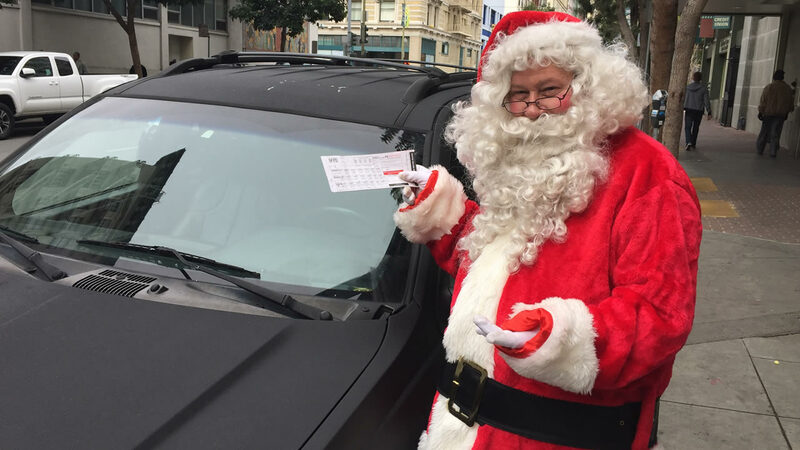 SAN FRANCISCO (KGO) -- Well this might get you on the naughty list - giving Santa Claus a parking ticket! Kris Kringle got the ticket as he was handing out toys at a school in San Francisco's Tenderloin on Friday. But the Christmas spirit was not completely lost. Nick Bovis, who owns Lefty O'Doul's and was the one who arranged Santa's visit, was able to convince the parking agent that it was all a big mistake. Click here for more stories and videos about the holidays.